Reader, I am hollow. Mikey was exactly what I expected it would be, and yet here I am, unsatisfied. I feel like a big whiny loser who never gets anything she wants, and yet I also feel like a big whiny winner who gets everything she wants. It's as if I sit atop a pile of jewels–the biggest pile of jewels in all the world–and instead of doing log rolls down the pile and laughing with utter delight, I simply rest my chin in my hand for I've realized that it's all meaningless, How could Mikey reduce me to such? Why, but a few days ago I was all set to turn this place into a Mikey blog! 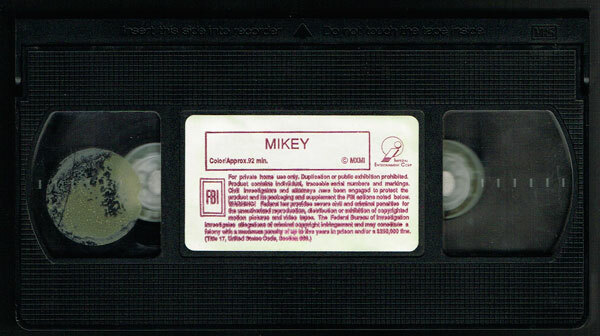 Mikey hits all of these notes in a perfectly serviceable made-for-TV-esque fashion. The cast is full of familiar faces and the acting is, you know, equally serviceable: Hellraiser's Ashley Laurence is here, along with a few "hey I've seen that person in a bunch of things" actors and actresses. Former child star Brian Bonsall manages to do both the "I'm sweet" and "I'm evil" things well enough. And you've got JOSIE BISSETT OF TELEVISION'S MELROSE PLACE AND ALSO THE LIFETIME MOVIE BABY MONITOR: SOUND OF FEAR, whose star power deserves all those capital letters as far as I'm concerned. 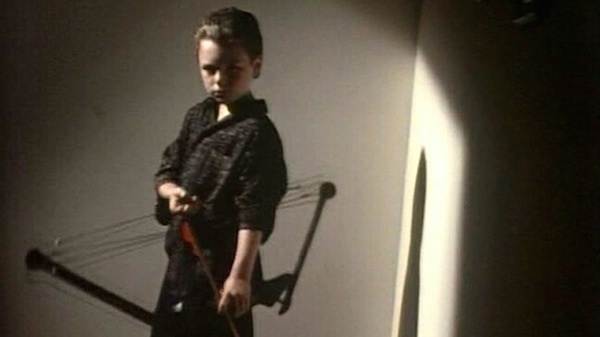 And then there's the kid from a bunch of 90s trash flicks (like A Nightmare on Elm Street 5), the one who looks like Courteney Cox in Springsteen's "Dancing in the Dark" video. I mean, it's all fine. You know? But when the killer kid bar has been set so high...when you've got murderous solar eclipse babies and possessed kids and the spawn of Satan out there...you've just gotta do something to stand out. "All fine" may be all fine, but it certainly does not stand out. Bonsall was just a kid and so I can't necessarily expect the sort of intense performance you get in a similar thriller like The Stepfather. Maybe some extra special murders? I don't know. I feel weird being all blasé and not finding a kid beating his dad to death with a baseball bat to be enough of a thrill, but here we are. It's so lonely and boring here atop all these jewels!